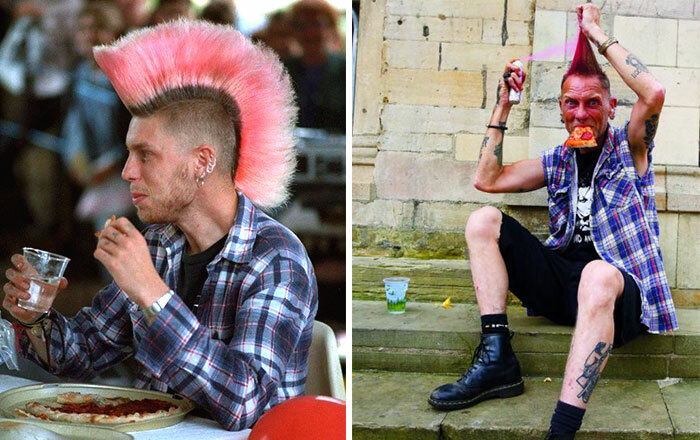 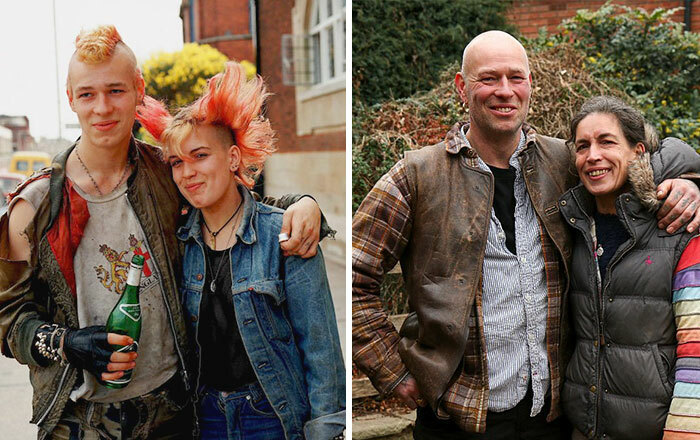 In the 1970s, 80s, and 90s, British photographer Chris Porsz used to walk around the city of Peterborough, Cambridgeshire (Great Britain) and captured hundreds of street portraits with camera in hand. 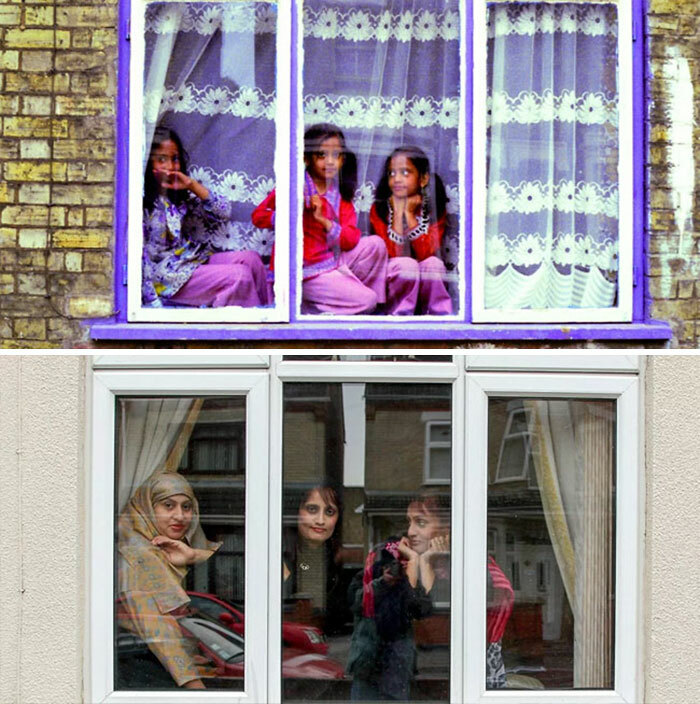 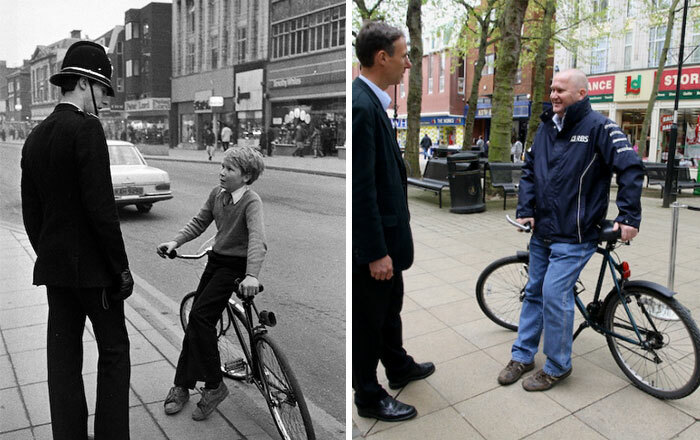 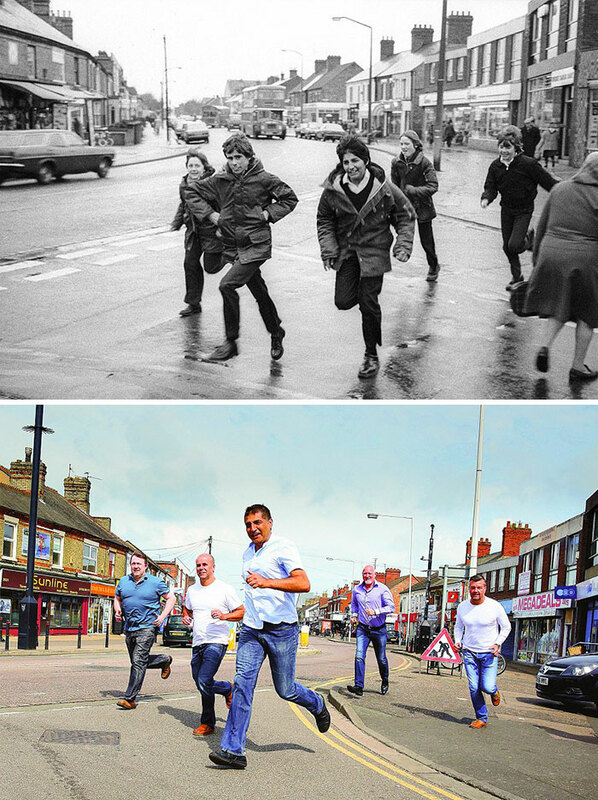 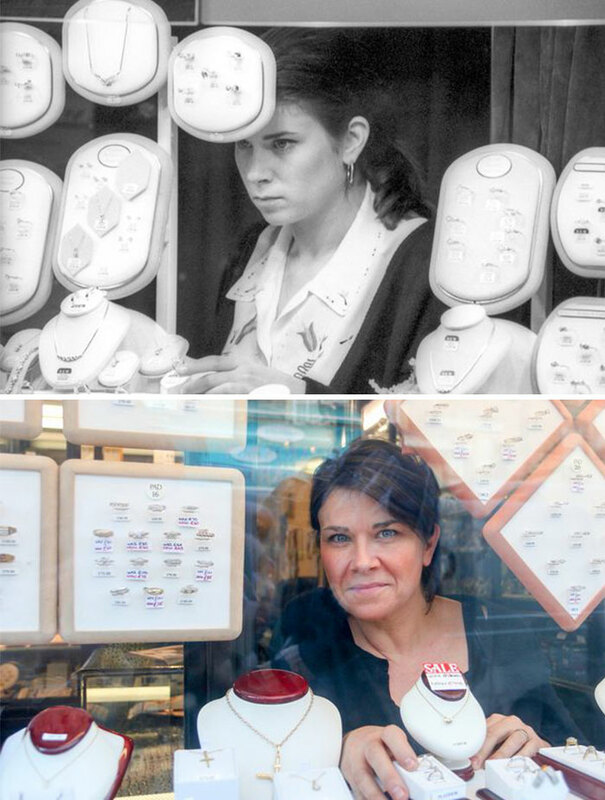 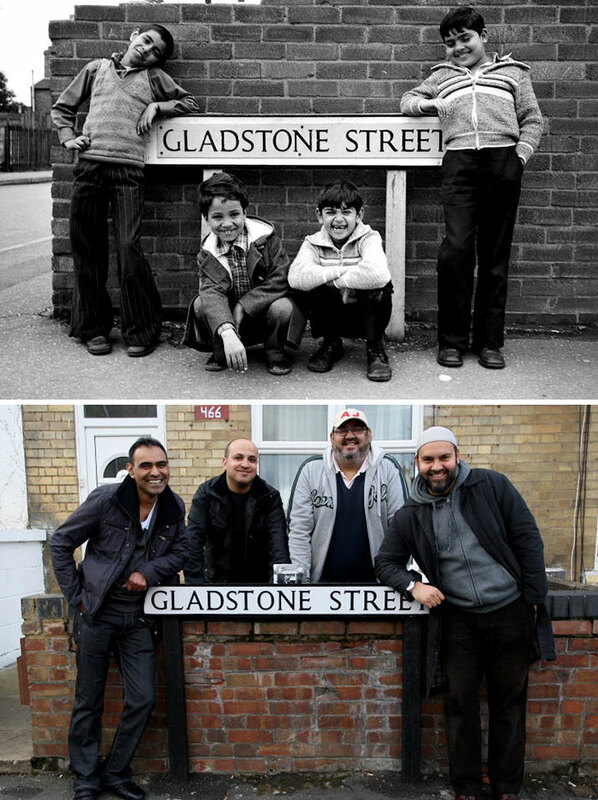 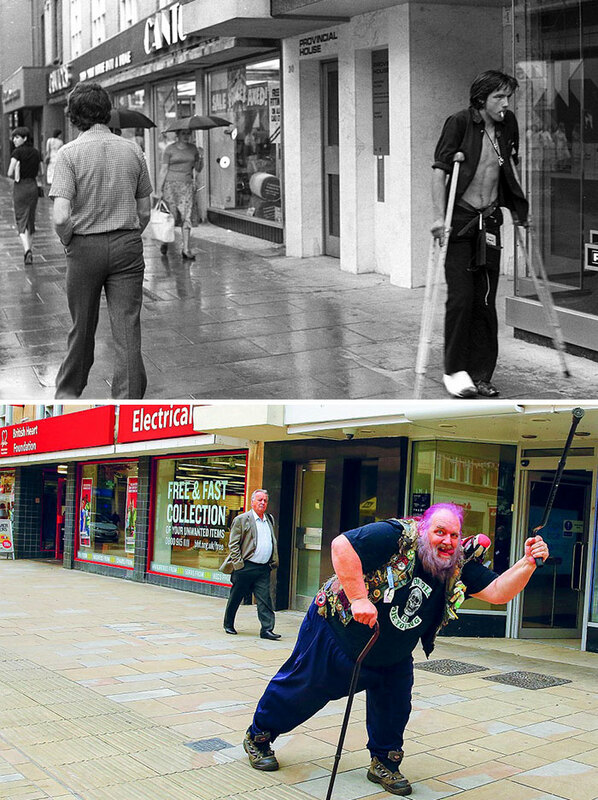 Almost 40 years later, the street photographer visits those same people, from policemen to punks, sweet couple to happy kids, and recreates their portraits, even in the same locations. 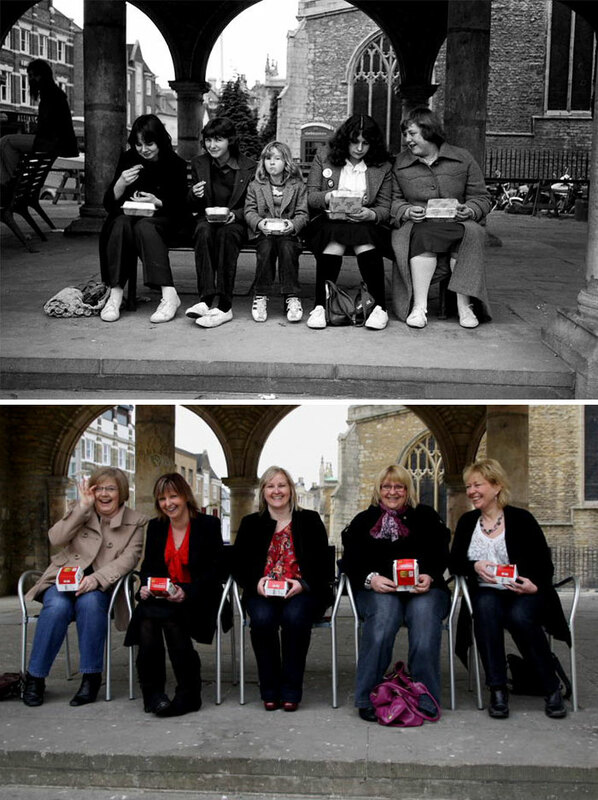 He compiles all the photos into a book titled “Reunions” with texts by writer Jo Riley that tell the stories behind those pictures.